There are many ways to contribute to the Religious Education Program at Sunnyhill. The quickest way to learn more about Unitarian Universalism, deepen your ties to the church, and to have fun on Sunday morning is to teach a religious education “RE” class! Teachers must be part of the Sunnyhill Community for at least 6 months and turn in Pennsylvania required clearances. Volunteer teachers take on 11 week session with their co-teacher, where they rotate responsibilities. If setting policies, advocating for RE, and encouraging involvement is more your style- join the RE Committee. 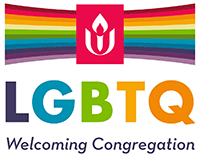 The REC discusses the big picture of Unitarian Universalist Religious Education and how to implement those ideas into our Sunday morning classes and activities. They help to plan events and recruit volunteers. REC meetings are held on the Second Sunday of every month, following the service. In addition to these specific roles, there are also other ways that volunteers are needed to round out our religious education program, such as substitute teachers, event helpers, and nursery assistants. You do not need to have a child in RE to fill any of these roles, just a passion for Religious Education!